Parks And Recreation: "Time Capsule"
"Time Capsule" demonstrated how far this show has come in such a short amount of time. It was only mid-season two when Parks & Rec started producing episodes where Pawnee residents showed up two, three, or more at a time—and contributed to the larger town mythology. 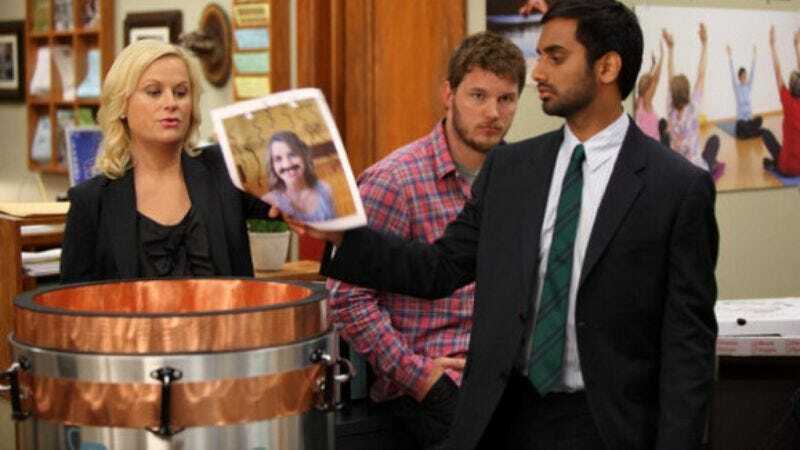 Much like the excellent "94 Meetings" from last season, "Time Capsule" shows Pawnee as a town made up of crackpots (some recurring, some not) who love their town and pick highly specific ways of showing it. On The Office, Michael Scott's small-time problems are treated as if they're the most important things in the world. There's a bit of that sort of heightening on Parks & Rec—it's just the parks department, and Pawnee, after all—but some of the strongest episodes of the show are the result of parks-only business getting picked up by the larger community. (Recall "Sweetums.") In this case, Leslie's decision to put together a time capsule attracts the attention of Kelly, a die-hard Twilight fan played by the always spot-on Will Forte. He makes a compelling argument—starting with the birth of Stephenie Meyer, and including a shot-for-shot description of the films—but Leslie remains unswayed. Kelly, therefore, handcuffs himself to a pipe in Leslie's office, refusing to leave unless the parks department puts copies of all the Twilight books in the capsule. What I love about Parks & Rec is that it has a memory. The insane religious family council woman who chastised Leslie for her gay penguin marriage can make another appearance as the leader of an anti-Twilight movement, and it makes all the sense in the world. I interviewed Mike Scully for another publication, and he pointed out that in the course of the early episodes of Parks & Rec, the writers established the presence of four different gay bars in Pawnee. Not sure that would happen now (though kudos to the writers for sticking to what they've already established, without commentary); they're paying insanely good attention. That's also why the show excels at pairing off two different characters each episode as if they've been best friends all along. Parks & Rec knows its characters inside and out, even the new ones. Tonight's friendship between Chris and Andy is proof of that. There's nothing about Chris' character that would indicate he'd feel threatened by Andy at all (not that he would, being the chiseled microchip he is), and vice versa. Mark was far more composed than Andy, but in Andy's eyes, they were in the same league, vying for Ann's affection. Chris has transcended the battle, in Andy's eyes. He has properly won Ann, and Andy is down-in-the-dumps enough that he'll take advice from the man who's swooped in. The two were made to hang out, and their bonding in "Time Capsule" feels almost cathartic—from Chris' sweet smile after Andy lists only "nice" and "band" as his positive traits, to his exuberant fist-pound when Andy tells him, "Nice and band totally worked." The way Chris and Andy's friendship clicked matched the way the town hall meeting spiraled into a multiple time capsule affair: There was a sharpness in the way the writing came together and an eventual method found in the madness. The effect, though, cheapened all the stuff surrounding Twilight. The episode was made a while ago, and even then, Twilight was pretty overdone. Tom's sudden infatuation with the series is a story we've seen all over the place, and the pay-off was only a short scene with Lucy, providing a little bit of closure to his break-up. The rest of the episode clicked wonderfully, and given how close the writers are paying attention, I look forward to the day we see someone order the "Four Horse Meals Of The Egg-pocalypse." 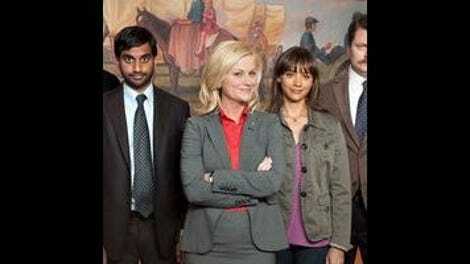 "Pawnee: It's safe to be here now." "That's the coolest sentence I've ever heard someone talk." "I have every bass tab to Dave Matthews Band ever."